Need Help in MS Access Assignment? We can help you if you are having difficulty with your MS Access Assignment. 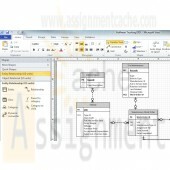 Just email your MS Access Assignment at admin@assignmentcache.com.